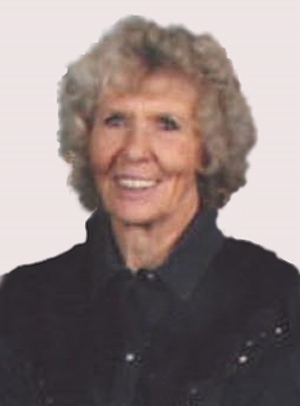 Obituary – Kemnitz, Rose Marie « Perry High School Alumni Association, Inc.
﻿Band 51-53, Class Assembly 49-50, Student Council 51-52, Teen-Town Council 52-53. Rose Marie Kemnitz, 73, of Orlando, Oklahoma was the daughter of Ernest John and Hilda Dorithia Carolina Bulholtz Kemnitz. She was born August 13, 1935 in Big Springs, Texas and died Monday, November 17, 2008 at St. Anthony Hospital in Oklahoma City, Oklahoma. Rose grew up in the Perry area. She married Darrell Thedford in 1955 and enjoyed a life full of rodeo. They were divorced in 1968. She married Bill Sager in 1970 and made the biggest move of her life to Alaska. Bill and Rose moved back to Orlando in 1981 and were divorced in 2000. Rose spent the rest of her days on the family farm. She worked at Sooners Corner Restaurant for over 30 years before retiring. Rose loved to barrel race and spend time with her grandchildren. She was a member of the Cherokee Strip Riding Club and was active in Senior Pro, OBRA, IRA, WPRA and Quarter Horse shows and open rodeos. Rose was of the Lutheran faith. Memorial services will be at 10:00 a.m. Saturday, November 22, 2008 at the First Christian Church in Orlando, Oklahoma. Rev. William L. Park will officiate. Services are under the direction of Brown-Dugger Funeral Home in Perry. Rose will lie in state at Brown-Dugger Funeral Home until 8:00 p.m. Thursday, November 20, 2008. Memorials may be made to the Oklahoma Medical Research Foundation Kidney Division or Dialysis in care of Brown-Dugger Funeral Home, 1010 N. 7th Street, Perry, Oklahoma 73077. Rose is survived by two sons, Dustin Thedford and Devon Thedford, both of Orlando, Oklahoma; seven grandchildren, Aaron Harmon and his wife, Amy, of Broken Arrow, Oklahoma, Jamie Thedford, Autumn Bolay, Courtney May and Tara Thedford, all of Perry, Oklahoma, Kenton Thedford, of Stillwater, Oklahoma and Jacob Thedford, of Bokoshe, Oklahoma; two great-grandchildren, Harley Thedford and Haylee Thedford, both of Perry, Oklahoma; one brother, E.J. Kemnitz Jr., of Lincoln, Nebraska; and a special friend and companion, Doug Blubaugh. 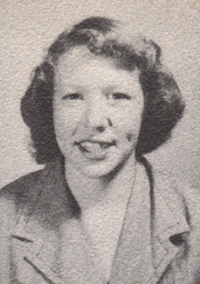 She was preceded in death by her parents, Ernest John and Hilda Kemnitz; one sister, Ethel Thompson; an infant daughter, Terrie Lynn Thedford; and one son, Denton Rex Thedford.